The first game console launched on the market by Microsoft was the Xbox, a machine capable of competing with the GameCube in features and that was based on the x86 architecture, similar to that of a PC. Games like Halo, Doom 3, Fable or Gran Theft Auto: San Andreas played a very important role in the history of this game console. 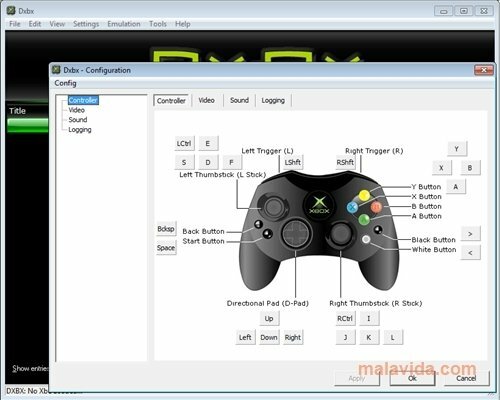 Now it's very easy to enjoy once again with all these titles, because DXBX allows us to emulate the original machine by Microsoft down to the slightest detail and making full use of the modern computers. The emulator allows us to configure even the slightest detail of the controls, audio and graphic aspect, so that any game can run properly on our computer. The application has a very clear interface, from where doing all the actions will be very simple. If you want to get your old Xbox titles out from under the bed and enjoy them on your PC, download DXBX right now. The games aren't included with the application.